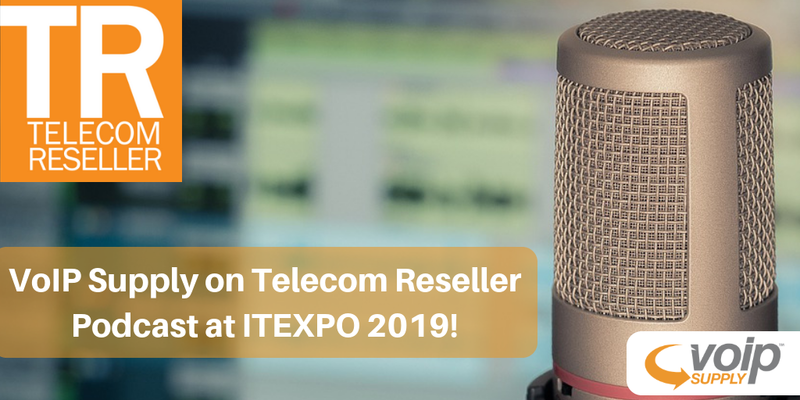 Brian Hyrek, VoIP Supply’s VoIP consultant, and Gary Audin from Telecom Reseller discussed at ITEXPO 2019 about how VoIP Supply helps VoIP resellers succeed with their plug-and-play provisioning service, Reclaim/Refresh program that offers reconditioning products with full warranties, innovative product rental program, and much much more! Click and listen to the podcast here! VoIP Supply is North America’s leading VoIP solutions provider. Since 2002, VoIP Supply has delivered valuable solutions for some 125,000 customers worldwide. With over 35 passionate employees, 2,500 products, 20,000 square feet of office space and an unlimited number of VoIP solutions to meet your needs. VoIP Supply has everything you need for VoIP, whether you are a consumer, business, service provider, or reseller.